WHAT IS GOVERNMENT CONTRACTOR FRAUD? The Davis-Bacon Act – when a government contractor fails to pay workers prevailing wages set by the Secretary of Labor. Cost inflation – when a contractor fraudulently inflates the price of procured materials and charges the government. An example would be defense contractors increasing equipment cost or conducting fake orders to increase their personal profits. Price fixing – when companies agree to increase the prices of products or services to increase their profits. 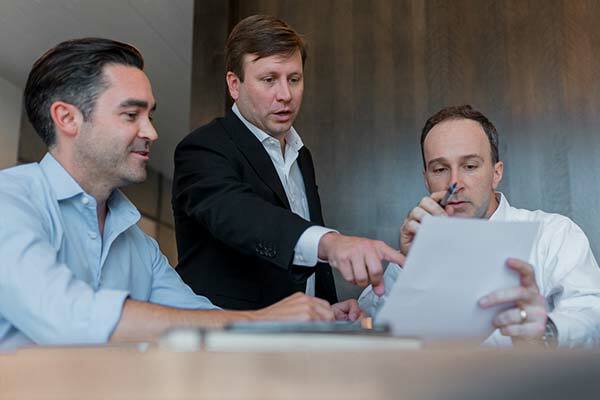 Bid-rigging – when companies collude and set bids at a high, non-competitive level. Procurement fraud – when contractors provide a kickback to employers for selecting them, at the expense of the company receiving the services. Contractor fraud cannot be taken lightly – it’s up to whistleblowers across the nation to report this fraudulent behavior and prevent corruption in governmental activities. If you suspect government contractor fraud, like suspicious charges, complaints and patterns, you may have a case. 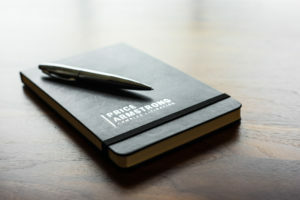 The experienced whistleblower lawyers at Price Armstrong are ready to work with you and blow the whistle on any fraudulent activities against the government. Contact us or call 800-555-1212 for a free, confidential consultation. The False Claims Act, 31 U.S.C. § 3729 et. seq., has roots tracing back to the American Civil War. This act allows individuals with information regarding federal government contractor fraud to bring suit on behalf of the federal government for return of the monies they received. This is often referred to as qui tam litigation. The government relies on the FCA to combat contractor fraud – this act makes it easier for whistleblower plaintiffs to bring about cases, as they are protected and often rewarded significantly. WHAT ARE THE RIGHTS OF THOSE WHO REPORT GOVERNMENT CONTRACTOR FRAUD? The whistleblower is entitled to 15-25% of the total award, plus their costs and fees, if the information provided was not public and the government chooses to intervene. The whistleblower may still be entitled to 10% of the total award if the information was public. The whistleblower reward can be 25-30% of the award, plus their fees and costs, if the government does not intervene. Additionally, the FCA includes antiretaliation provisions to provide protection for whistleblowers of government contract fraud. If a whistleblower is “discharged, demoted, suspended, threatened, harassed, or in any other manner discriminated against in the terms and conditions of employment” because they lawfully brought a qui tam action, they are entitled to relief. Whistleblower protection can include reinstatement, double backpay with interest, and compensation for special costs. WHAT IS THE PROCEDURE FOR REPORTING GOVERNMENT CONTRACTOR FRAUD? Contact a whistleblower lawyer to review your options and your specific government contractor fraud case. What you tell your attorney will remain confidential. When a whistleblower files suit under the FCA, they do so under seal. This means that the information in the complaint, for the time being, can be seen only by the court and by the Government. The Federal Government generally has a right to intervene in the case if it wishes to do so. The cooperation between you and the government will have an effect on the award that the whistleblower eventually receives. If the government chooses not to intervene, the whistleblower may continue prosecuting the action. After the case is settled, your attorney will ensure that you continue to remain protected. Any discrimination, harassment or retaliation from employers can result in additional reward to the whistleblower. WHAT ARE THE RESULTS OF FALSE CLAIMS ACT CASES? The outcomes in qui tam actions can be staggering – whistleblower rewards can be upwards of millions of dollars. JP Morgan paid out more than $600 million in 2014 for faulty mortgages. A 15% base rate for this award would have given the relator, or whistleblower, roughly $92 million. Major relator rewards in FCA cases have also come from healthcare providers and companies with amounts of more than $150 million. FCA cases against pharmaceutical companies have paid some of the largest amounts in relator awards, ranging between $97 million and $250 million. Price Armstrong has success in whistleblower cases under the False Claims Act. We have recovered over $12 million in fraudulently obtained government money from government contractors. Our attorneys have represented whistleblowers in the banking industry and have successfully pursued multiple FCA actions in the hospice healthcare arena. WHY DO WHISTLEBLOWERS NEED EXPERIENCED ATTORNEYS? Qui tam actions under the False Claims Act are some of the most sensitive and procedurally complex lawsuits in the civil justice system. Drafting complaints under the FCA requires a close attention to detail, hard work, and knowledge of the elements of a successful government contractor fraud claim. Working with the United States Department of justice and U.S. Attorney’s offices is also a delicate task that requires serious attorney experience. Errors in navigating the tepid waters of qui tam litigation can lead to a prompt dismissal of the action and severe consequences, both personally and professionally for fraud whistleblowers. If you have information regarding government contractor fraud, the experienced attorneys at Price Armstrong for a free consultation regarding your options. If you have knowledge about false claims being submitted in a government contract, contact the whistleblower attorneys at Price Armstrong. Taking a stand against the government can seem daunting – we assure you that your case will remain confidential and that you will be rewarded for your bravery. We have significant experience representing government contractor fraud whistleblowers across the nation – contact us for a free initial consultation, and we will help review your case and discuss your options moving forward. If you have evidence of government contractor fraud, contact the attorneys at Price Armstrong. We can help you seek justice and protect your rights throughout the process. Call us today at (205) 208-9588 for a free initial consultation and review of your case. Let us fight for you – call now!